On the drive back home after a day of Spring Break diversion I indulged my masochistic desire to be cosmopolitan by listening to NPR. As someone presently contemplating anarchism, my frustration as a listener was perhaps inevitable. However, regular contributor E.J. Dionne of the Washington Post made a particularly unsavory point during a “Week In Politics” segment. He related that White House officials he spoke to this week are extremely concerned about the possibility of a war involving Iran being sparked during the President’s reelection campaign. The host inquired whether they are concerned about the prospect of war generally. Dionne replied that, well, yes, of course they are, but a crisis before November sixth, he emphasized, would present an enormous political challenge. That political calculus lies at the heart of our leaders’ decisions about war and peace is hardly ground-breaking. Yet NPR’s coverage Friday morning of the 2009 Nobel Peace Prize laureate’s meeting with Israeli Prime Minister Benjamin Netanyahu likewise centered on the former’s effort to discourage the latter from overtly targeting Iran’s nuclear program in the near future, which is to say, before the election. The White House appears to harbor less concern for the possibility of an international crisis than the political difficulties which would attend it. Perhaps that representation is hyperbolic, yet I cannot recall hearing any geopolitical analysis or, perish the thought, references to the constitution on the radio. Needless to say, I am appalled, but there is a silver lining: I am not alone. Many of my peers are also skeptics, of power, of the media, of what we are told and who we are expected to follow, agree with, and elect. Super Tuesday is held up as the end-all-be-all of nomination contests, but the results of the elections do not matter. Never mind the virtual inevitability of Mitt Romney’s nomination. Never mind the difficulty one would find distinguishing the policy outcomes of a Romney presidency from those of a second Obama term. The real story of the night was the quiet confirmation that Ron Paul’s presence is being felt in every part of the country, because that presence will play an instrumental role in the political future of the United States. 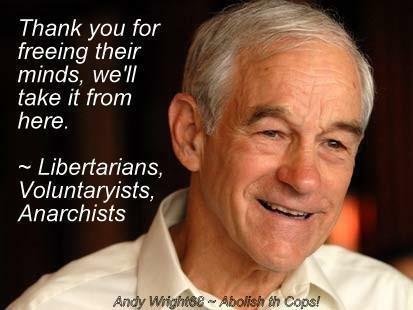 Ron Paul’s “Revolution” is best understood as a social movement. It has united millions of individuals, most of them young, around basic classical liberal touchstones such as free market capitalism, Austrian economics, non-interventionist foreign policy, tolerance, and personal responsibility. It is a cliche that Ron Paul supporters tend to be very consistent and philosophically grounded, but one that bears repeating. His supporters value veracity and consistency above all else, but that was always true. Ron Paul, by virtue of his honesty and integrity, has served as a focal point for these shared concerns, and his movement as a vehicle for spreading classical liberal ideas. The young Paul supporters will ultimately shape the Republican party in a more libertarian direction, as has essentially been predicted by South Carolina Republican Senator and Tea Party Kingmaker Jim DeMint, who has recently been calling for a soul-searching debate between conservatives and libertarians to determine the future of the political brand. Politico Jack Hunter has likewise drawn comparisons between Ron Paul and Barry Goldwater as a man whose political impact will be felt decades after his quixotic presidential campaign. There is another side to the Ron Paul story, however, one that has been largely overlooked. Many of the individuals Ron Paul introduces to classical liberalism embark on an intellectual journey that takes them beyond concern for politics. They are more interested in winning hearts and minds through various educational and scholarly institutions, or want to create alternative political orders, as in the case of Seasteading. Organizations like Students For Liberty, the Institute for Humane Studies, and the Foundation for Economic Education have masterfully taken advantage of the opportunities presented by Ron Paul’s campaign to reach out to young people. Broad predictions about the future of human society are generally inadvisable, yet it is with this principle in mind that I hesitate to discount the dreaming and scheming of agorists and Free Staters. As more people join the liberty movement, a greater proportion will feel called to pursuits beside scholarship and educational outreach. These activists and entrepreneurs may in time disrupt the social and political status quo as profoundly as Facebook disrupted our conception of digital communication platforms and their potential. We may be witnesses to the dawn of a new era of institutional innovation. Only time will tell. My final thought is that the Kony 2012 controversy should give classical liberals reason for optimism about the future of social change. Within 24 hours of its release, critiques of the viral short film about the Invisible Children organization’s lobbying campaign against an African warlord had themselves gone viral. Sound information and thoughtful analysis spread while dross, including celebrity endorsements of the campaign, went largely overlooked. * Having grown up saturated by commercial and news media, our generation more than any before it views the world through skeptical eyes. We are casually comfortable with technologies that give us access to vast amounts of information which can be consumed and shared at low cost, but it is our skepticism that will ultimately prevent us from being seduced by the promise of green energy jobs, kinetic military actions, and stimulus multipliers greater than one. That is why we are not going anywhere. That is why we will win the future. Very soon the charlatans will have a much tougher audience to face. And that is why Super Tuesday and the next four years of American politics ultimately will not matter. *Click here for a Reason Magazine interview with researcher Jeannette Sutton about her examination of Twitter as a decentralized information aggregation, sharing, and verification system during natural disasters and other catastrophes.